Pantelleria, in the heart of the Mediterranean, between Sicily and Africa, is called the "island of wind". Of volcanic origin, today it is home to vineyards planted in rows from which a special wine is produced: the passito of Pantelleria. 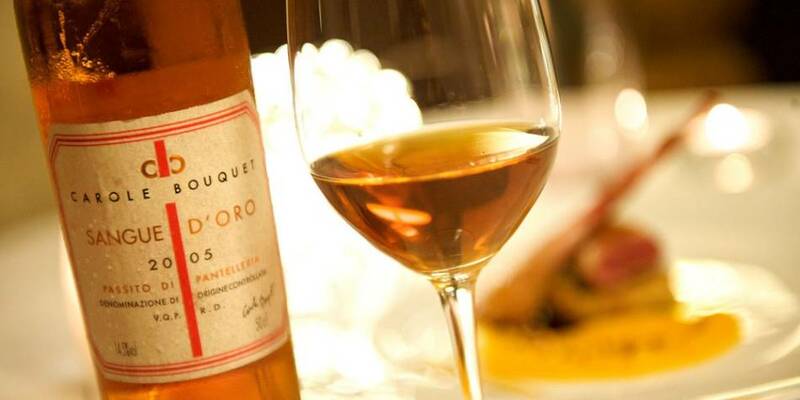 Passito means withered: in fact this dessert wine is obtained by allowing the grapes to wither on the vine or after harvesting, and maturing for at least one year in oak barrels. Its amber-yellow color, and fragrant aroma like Muscat, sweet, aromatic, pleasant, and warm, means it can be served after meals with desserts, preferably dry desserts containing almonds or jam. Very good with herb cheese, the passito of Pantelleria is a wine of excellence, intended for people wishing to enjoy a glass of the special taste of Sicily.